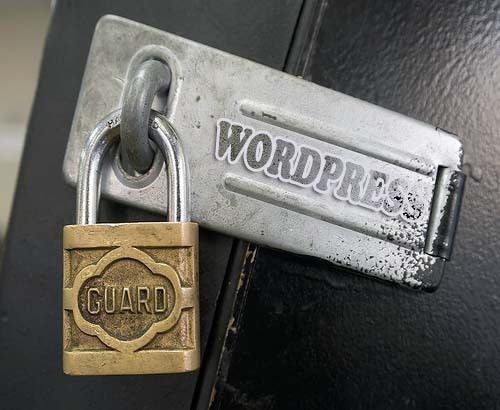 Are You Protecting Your WordPress Blog? You’ve got locks on your front door. You latch your windows at night. You might even have a home security system. Almost every newer model car has an alarm. We can pretty safely assume you have some sort of firewall and virus protection program for your computer as well. But what about your web site? Your personal domain where you’re sharing tons of information with the rest of the internet world. Do you have security measures in place to ensure your intellectual data and property is not subject to virus or attack? You can and quite possibly will be the victim of a web attack at some point, especially if your site suddenly becomes incredibly popular or you tend to post controversial pieces. Making a backup of your blog will ensure you can quickly and easily restore your content – after you patch your security problems, that is. Backing up your blog is as simple as installing a WordPress plugin so that your site can do the work automatically, saving the file to your desktop or even emailing it to a designated address. Let’s face it. The word “password,” your birthday, and variations of your name are not strong enough passwords – especially now. Most sites force you to create a password with an uppercase letter, lowercase letter, number, and a character now. The harder your password is to determine, the lower your odds of having someone break into your back-end. You need to make sure all of your passwords are complex, from your FTP login to your actual admin logins. If you have trouble remembering passwords, you may want to invest in a PC-based (not web-based) password storage program, like RoboForm. This is by far one of the most important yet most overlooked aspects of blog security. WordPress regularly releases new versions of its platform. These new versions include not only enhancements to the platform itself, but to the security of your site as well. Skipping the update means you’re vulnerable to known weaknesses. Updating your WordPress platform isn’t difficult, either. You can, for the most part, allow WP to make the update automatically when you log into your site. Just make sure you have a backup before you make any changes. Don’t forget to look for specific WordPress security plugins as well. These plugins offer simple solutions for blog security – for both experienced and amateur bloggers. Examples include Stealth Login, which will change your login page’s URL; Blackhole, to fool automatic bots into moving to a special part of your page in which data will be collected for a blacklist; and WP Security Scan, which will periodically scan your WP database files and suggest corrections to any abnormalities. These are, of course, just a handful of the things you can do to protect your blog from attack. If you’re new to using WordPress, make sure you contact a qualified web programmer to find out where your site is most vulnerable. Remember, the best offense is a good defense – even in the web world! About the Author: Russell Ruark is a professional writer with a passion for internet security. She also enjoys writing about jobs in healthcare, medical conditions, and personal finance. your list is good. Add some plugin name which are essential for more security.